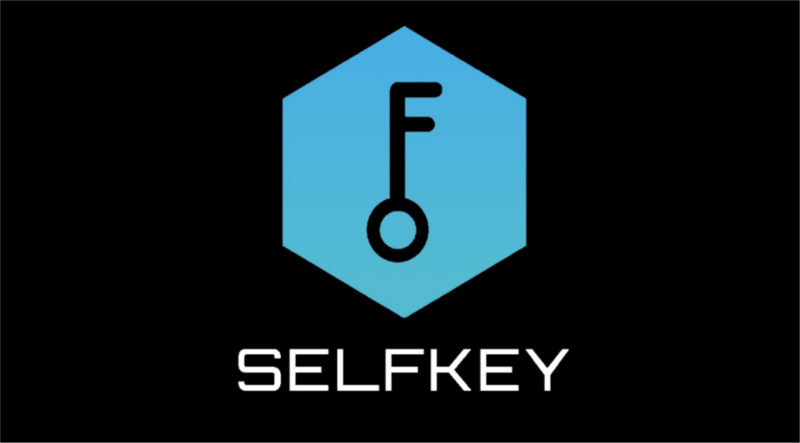 December 11th, 2017 – After a hugely successful private presale, in which over $5 million worth of KEY tokens were sold, blockchain-based digital identity firm, SelfKey, announced that their public presale of KEY tokens will begin on December 15th, 2017. It is expected that the public presale will be just as successful. SelfKey’s working technology platform is live and in use every day by customers all over the world to submit and verify KYC. It was built with the help of Standard Chartered Bank and has facilitated KYC for token sales such as Airswap, Aditus, Gatcoin, AiX, and Hotoken. It is also used by fintech/blockchain startups such as Polymath, Kommerce, ZILLA, Malabar.ai, TitanFx, DollarSmart, and the Hong Kong based exchange, Gatecoin, to name but a few. It is not only blockchain-based companies that use SelfKey technology to onboard customers. NTL Trust, the oldest and most well-recognized citizenship and residency by investment authorized agent in the world, uses SelfKey to process citizenship and residency applications in over ten countries, through the blockchain. The next generation of this technology platform is an identity wallet and marketplace powered by Selfkey Tokens (KEY). KEY is a utility token that must be staked to gain access to the network and spent to apply for identity notarizations and marketplace listings. Through the SelfKey Identity Wallet, users can access their identity documents stored locally on their personal device. Since the documents won’t be stored in any server, database, or blockchain, the SelfKey Identity Wallet prevents security and privacy issues. Users’ digital identity is cryptographically signed and can only be decrypted by a public key, so if any service provider or certifier attempts to share it with a third party it would be unreadable since it will only be visible as a secure hash on the blockchain. ID documents can be verified by qualified certifiers, such as an eNotary. These certifications will cost KEY tokens. After their documents are verified, users will be able to reuse their identity certifications to instantly apply for multiple products and services, without the need to repeat the verification process. The Identity Wallet and the Marketplace allow people from all over the world to apply for citizenship and residency by investment, efficiently start a business by setting up a company, bank account, or a payment processor, and access fintech products such as virtual checking accounts. Since the SelfKey application is capable of receiving, storing and transferring any ERC-20 token, including ETH, as well as having the ability to allow instant sign up for multiple exchange verified accounts, cryptocurrency enthusiasts will also be able to manage their cryptocurrency portfolio. According to their published roadmap, the SelfKey wallet will be available in January 2018, coinciding with its public sale. Founded by industry leader, Edmund Lowell, and backed by a team of over 60 individuals, SelfKey is a blockchain-based digital identity system that puts individuals and companies in control of their personal data and gives them instant access to a broad range of products and services such as citizenship and residency by investment, company incorporation, bank accounts, fintech products, token sales, and cryptocurrency exchanges, among others.